Yesterday The Lost City of Z filmed in the beautiful grounds and building of the Methodist College in Belfast and we posted some great photos from the set. Check them out HERE & HERE if you missed them. Today we have some more brilliant photos from yesterday’s set where you can see the fantastic costumes and the attention to detail. 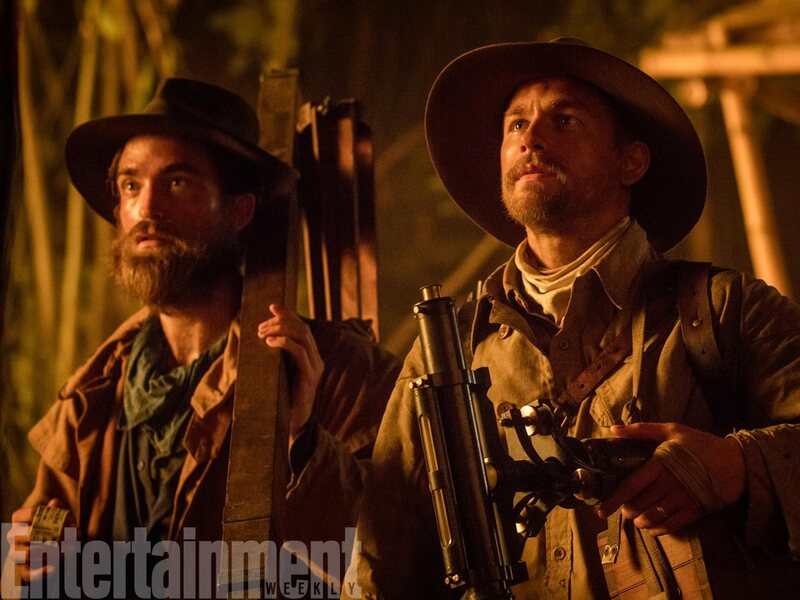 Nearly 200 people filed onto the grounds of the 147-year-old Methodist College to film indoor and outdoor scenes for The Lost City Of Z. The film has been on location around Northern Ireland for a few weeks now but today most of the stars came together mid-morning, giving on-lookers a thrill. A source on set said: “We were very lucky to be able to find a wonderful old lecture room in Methodist College which was used to represent a modern Victorian scientific lecture theatre. “So today the team spent a lot of time in the McArthur lecture room with Robert Pattinson. “The lighting techs put up great lights outside the room pushing atmosphere light inside into the panelled lecture room. On set today were Robert Pattinson, Charlie Hunnam, Sienna Miller and Angus Macfadyen from Ripper Street fame. A source at the school said: “It was business as usual for most people but there was a certain frisson knowing that some very famous actors were in the vaccinity.